A lenticular-like cloud swirls around Mt. Shasta and lots of fresh snow. Well, I have to confess this was a bit of a surprise. With the temperatures warming, we ended up getting doused with a few inches of snow! I had seen snow in the forecast, but had ignored it, as I figured it would not get cold enough to stick to the ground. The truth was that it did indeed get cold enough to stick and we ended up getting about 3 inches around my house. It is still pretty cold outside so the snow is sticking around for a little while. I reckon most of it will be gone by the end of the day though. 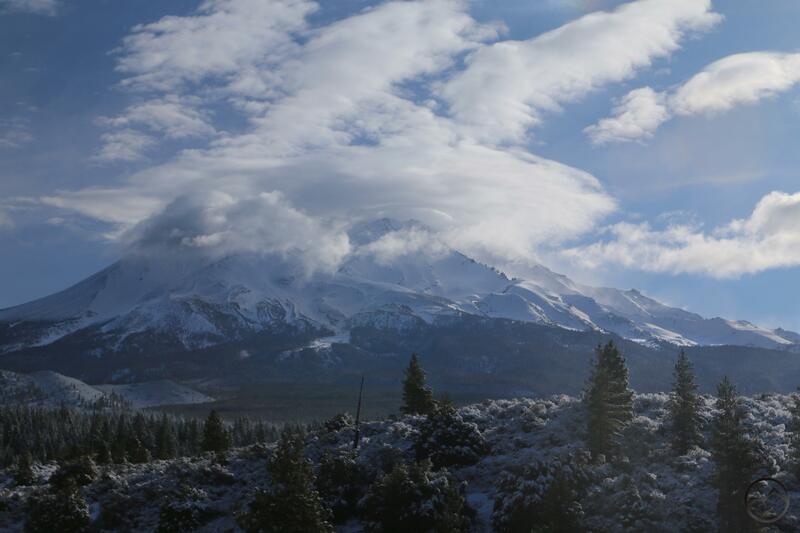 Of course, with clearer skies and fresh snow, I had to head out and check out Mount Shasta. There was a “lenticulish” cloud on the mountain, making for a typically spectacular scene that was only enhanced by the presence of fresh snow covering the landscape. It was nice to be reminded of one of the good aspects of winter on an unexpected bluebird morning. On a side note, I am planning on debuting a new blog series this weekend. 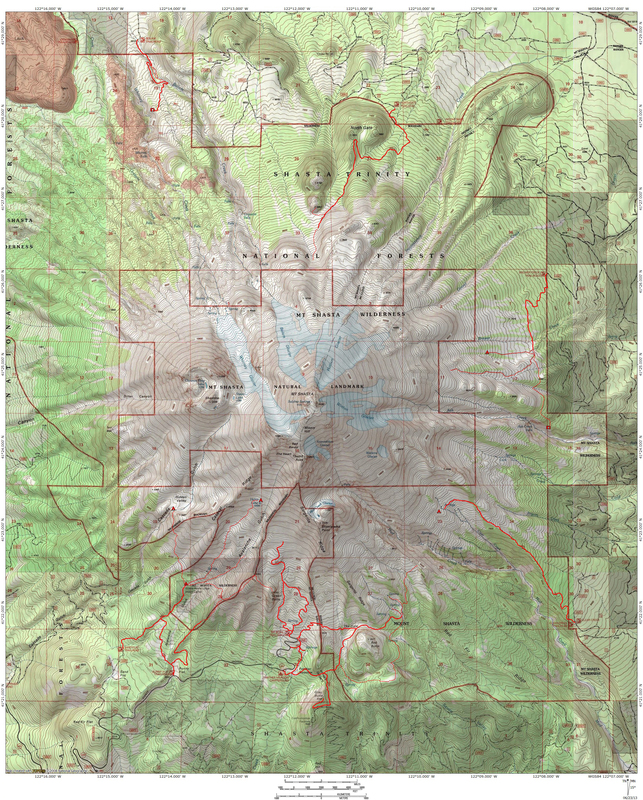 I know this site is supposed to be about the Mount Shasta area, but after 5 years, I want to stretch my wings a little bit and cover other parts of Northern California (and possibly southern Oregon too). I have really been itching to do this ever since the publication of my Northern California guidebook. The focus of the blog and the site will still be on the Mount Shasta area, but there are so many other amazing areas that I want to write about, I think that the time is right to spread out a little. It is my intent to keep the writings about areas away from Mount Shasta seasonally appropriate, so they are accessible or at peak beauty when I write about them. I hope nobody minds this new project! So, that being said, here are a few images of the unexpected winter that passed through the area last night! This winter wasn’t as good as the last down here. I went snowboarding almost 31 days last year, this year barely made 10 and only 1 day was on fresh powder in Mammoth. Hopefully it will be an awesome year next year! We’ll see how many more, but I am looking forward to writing about other parts of California. Just out of curiosity, do you have it on your radar to check out the new state natural area in the Chinati Mountains when it opens? That area has been on my radar since I first learned about it back in 2004. It’s nice to see public access finally being worked out. Honestly I haven’t even hear of that area until you wrote to me about it. I’ve looked it up and it looks very interesting. Sorry! I meant that for someone else. I am glad to have brought it to your attention though! Hell, I’m just trying to get the wife out to Big Bend. That’s proving to be a chore. Though she did mention Davis Mountains for Memorial Weekend. Very cool about Chinati Mountains though.